One of the things I almost never do is post the material from my Insider’s List here on the blog. In fact, for the last two years, I’ve written far more material for the people on my list — including a 4,355-word email that had the internet buzzing — than for this blog. Today, I want to give you an example of the stuff you’ve been missing if you haven’t subscribed yet. Here’s an email I sent out a few months ago. Today, a live teardown on two different ads I spotted during recent travels. You’ll learn how a simple flyer can seem so simple on the surface, but how you can use psychological principles to dramatically improve flyers…and use this same ability to read others’ minds and improve your relationship, workplace performance, or even your ability to earn more money. I’d give this ad a “B-” because Brittany did a pretty good job — but she could have dramatically increased her chances of getting hired and added a minimum of 20% to her hourly rate. She wastes space by saying things like “I love children.” Of course you do. I love oxygen. More importantly — and now we’re getting into the psychology of this flyer — what do parents care about? REALLY care about? What’s their #1 fear? #1 fear: THAT YOU’LL MISTREAT, HIT, OR RUN OFF WITH THEIR KID. #2 fear: That you’ll be IRRESPONSIBLE, like flaking out on an appointment, leaving them stranded. Solve those two concerns and price essentially becomes a mere triviality. Yet 99% of babysitters will waste time talking about their love of children (duh), their college major (who cares? ), or their interests (talk to me about ME, not you). Brittany actually has hints of a terrific banner — but she falls short where it really counts. For example, she talks about how she has 6 years’ experience. Where are the testimonials from past clients? Where are the SPECIFIC things she helped prior kids do (e.g., learn to read, take them to swimming lessons, coordinate their weekly meals)? This is just a FLYER right now. It’s not true, deep marketing. It’s actually pretty good, but it’s not GREAT because she hasn’t thought carefully about who she wants to reach out to. She’s targeting “everyone,” when she should be targeting a VERY specific list of people. Moms, who have kids (which age? ), are upper-middle class, and are looking for their (first-ever?) babysitter. Each of these characteristics subtly changes the way she approaches her marketing. Once she’s clear on who EXACTLY she’s looking for, all tactics fall from that. For example, once she knows precisely who she’s targeting (not “everyone,”) she would probably reconsider hanging flyers in a coffee shop. The takeaway: With training, you can start to see deep psychology — or the lack of it — everywhere. And with some subtle tweaks, you can dramatically increase your chances of earning money on the side with better clients who pay more. This sign gets a solid “A” for its simple brilliance. Why? Ask yourself: What’s the #1 thing that people care about when considering a valet? That’s it. Price represents 99% of the concerns people have when considering a valet. Accordingly, the sign highlights the price — and nothing else. The sign owners may not have even known the deep psychology here, but they still executed extremely well. The takeaway: When trying to persuade someone, try to understand the NUMBER ONE concern they have. Of course there will always be numbers 2, 3, 4, and 5. But if you can adequately address the top concern — which usually represents 80%-90% of what they care about — you win. How can you use these techniques? I’d like you to reply to me with 2 examples of how you can use these persuasion principles in your own life. Send me a quick note by replying to this email. I read every message. On Friday, I’ll send you an applied example of how IWT readers could have used mind-reading to secure thousands of dollars. Repost! Ramit, did you run out of material? @Asd: Ramit has enough material to build a spaceship. Even if it is a repost, it’s very valuable material, especially for people like me who haven’t been here for a year. What’s the deal with the people who lie in the woodwork, just waiting to insta-comment the moment Ramit (or any popular blogger for that matter) writes something that’s even remotely similar to something that’s been previously posted? @Asd – do you also sit in comedy clubs waiting to call out comedians who say a joke that you’ve already heard before? Do you yell at your TV as soon as a commercial comes on that you’ve seen before? And is Asd your real name, or is your schedule so booked up with calling people out for no reason that you lacked the time to type your full name and opted for the first 3 keys on the 2nd row of the keyboard instead? If only calling people out on the internet could be monetized, just imagine the riches you’d have. You nailed it again Ramit. Positioning is everything. You can even sell a bad product with the right positioning. Yeah, thanks for ever more examples. Geez I hope I am getting better at this! Starting to understand it much more. My specific example would be teaching sign language. So now how would I test for finding some parents that are just recently newborn a deaf child or a child that became deaf and they need to realize they MUST learn ASL or they will be forsaken one of those crummy parents that are too lazy to learn signs. Even more I need to find able paying parents not the ones who think it should be “free”. A idea of mine for a niche for me would be to teach sign language. It’s already a small group of people. To narrow it down even more to parents of recent newborns, the second question whose parents would pay and how to find them. Another example is that one ASL production made full length Feature films without—NO freaking sound at all not even the room sound or background sound at all. Myself am deaf and a film graduate and this is unthinkable. Some of my professors would strongly object. Hearing people would too. Some have for sure. Yet the film is made in ASL only deaf people really enjoy it anyway. There are some showings with subtitles and some without. The ones without most hearing people complain it’s lost to them. Just a interesting example to share with you all. My film was a deaf surf production and I put sound in it but held back more work because I could not find copyright free audio for the music soundtrack. This makes me think.. Geez Do I really need audio for the deaf audience after all? Some are hard of hearing and some people who call themselves deaf can hear a little and do enjoy music as well. Hearing people I want them to watch the film too of course. So it’s a interesting thing. I know another Deaf production that was held up 7 years just because of the soundtrack and financing for it. I wouldn’t narrow it down to just teaching sign language. There are other things a couple with a deaf baby need to know, like advocacy, or handling any special needs the deaf baby/child might have. They might not know they need to teach the baby/child sign language, but they DO know they’re going to have to figure out a way to communicate with this child. Focus on that instead. I think this couple’s main concern is, “How am I going to raise this baby/child? I don’t know anything about being deaf.” It’s your job to show them that raising a deaf child is not so different from raising a neuro-typical child – and to show them how to do it. Also, think of what couple is going to take the time to give that baby what s/he needs above and beyond whatever services they’ll get. In my work as an educational specialist (20 years+), I’ve seen that the parents who are really willing to go the extra mile for their kids are the minority. But those are the parents you want. You’ll have to find them. Love these’s posts on marketing. Its such a basic concept, but so many people screw it up. I’d love to see more of these. Thanks Dave. Sign up for the list! That’s where I post most of my posts on psychology/marketing. 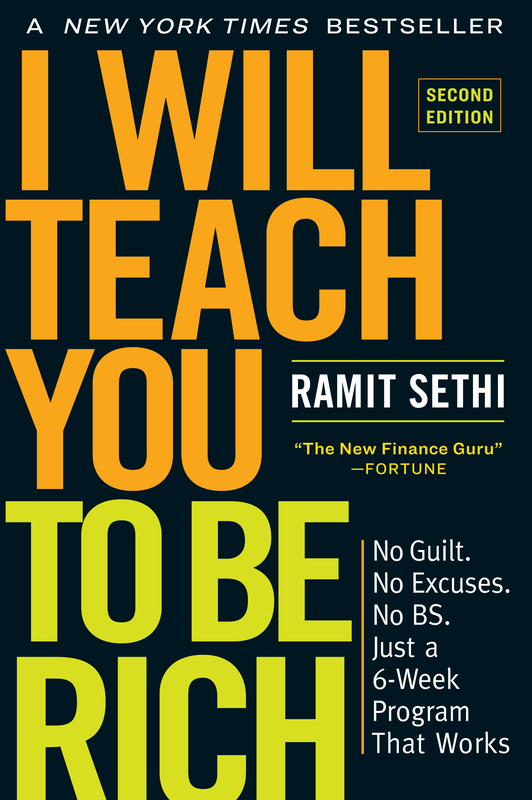 Hi Ramit – I like a lot of your stuff… especially earlier on because frankly marketing myself scares me a little. But luckily a side contracting job fell into my lap. Now I want to know more about how much I can keep of it, considering taxes. Why hardly anything on taxes to go along with your material on earning more? Don’t worry, Ramit, I got this one. As you begin earning money on the side, yes, you will need to pay taxes on it. However, introducing taxes too early creates a barrier. Focusing on taxes gives people a convenient excuse not to earn money on the side. “Why should I bother doing this when I’m just going to have to pay X percent of it to the government?”, etc. Get 3 paying clients first. Think about taxes later. Congrats Sandra on the contracting job. Now do an awesome job and keep records of everything. That way you can have something to show to your next client when raise your rate. I liked the way you broke down the babysitter’s advertisement on a psychological level.She really never targeted a specific group(parents). Great reminder and simply laid out without marketing blah blah. It pushed me to change my current website copy to much more specific customer benefits. You’ll learn the #1 mindset tool that differentiates millionaires from everyone else. You’ll learn how to use your money and your mindset to create a comfortable lifestyle while reaching your long-term financial goals. You’ll learn how to eliminate guilt around money for good. Well in my life currently I am trying to persuade people to use my internet marketing services locally. So I need to find out what their number one priority is first. It would save me time. In my current paralegal business it’s hoping I don’t get there house does not get foreclosed upon. I am great at that hence the conversion.